ABEOKUTAâ€”THE Independent National Electoral Commission, INEC, yesterday, notified the national leadership of the Peoples Democratic Party, PDP, of its decision to publish the list of candidates submitted by the Adebayo Dayo-led state executive committee of Ogun for the 2019 general elections. INEC made this known in a letter, with reference number INEC/LEG/DR/197/1/514, dated October 25, 2018, addressed to the National Chairman of the PDP, Prince Uche Secondus and obtained by Vanguard yesterday. In its letter titled: â€˜Nomination of candidates for 2019 general elections in Ogun Stateâ€™, INEC drew the attention of the national leadership of the party to two judgements of the Federal High Court in the following cases: FHC/L/CFS/636/2016- Adebayo Dayo and another Vs INEC and five others and FHC/L/CFS/114/2018-Alhaji Adewole Adeyanju, (member of PDP NWC) and six others Vs INEC and 30 others. Reacting to INECâ€™s decision, Senator Kashamu commended the Commission and the leadership of the party for recognising the Dayo-led Ogun PDP exco. Also reacting, a governorship candidate of the PDP, Mr Ladi Adebutu said he remains the authentic PDP candidate for Ogun State. Adebutu said: â€œMy attention has been drawn to the INECâ€™s letter being circulated in the media by Sen. Kashamu, to the effect that it is stated therein that based on the court order given two and half years ago by Justice Buba, INEC is constrained to use the candidatesâ€™ list submitted by Eng Bayo Dayo led Exco for the 2019 elections. â€œI want to reassure members of the PDP and our supporters in Ogun State that Kashamu is on his last legal train ride to political oblivion and irrelevance in ogun State. â€œWe have absolute confidence in the Chief Secondus-led National Excos and we trust that they will leave no stone unturned to protect the interest of our members and candidates in Ogun state. For a fact the Bayo Dayo led execo did not conduct any primary that conforms to the provisions of the PDP constitution and electoral guide lines. â€œWe are already completing the process if approaching the Supreme Court on this obnoxious and destructive legal strangle hold by a non member of our party. 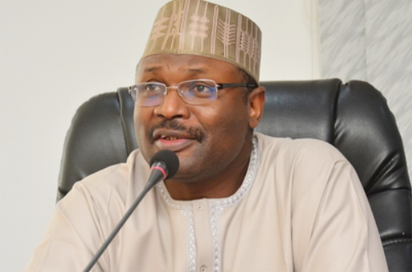 INECâ€™s letter signed by its acting Secretary, Mr. Okechukwu Ndeche reads: â€œThe Federal High Court in the matters ordered the commission to recognize Adebayo Dayo-led state executive committee of PDP in Ogun State and receive list of candidates for the 2019 Governorship, National Assembly and State House of Assembly election from the said committee. AKUREâ€”NO fewer than 5000 members of the All Progressives Congress, APC, and Zenith Labour Party, ZLP, in Ondo State, yesterday, defected to the Peoples Democratic Party, PDP. This development was the fall out of the crisis that characterised the APC primaries in the state. Leading the 2000 defectors from the APC, the former leader of the House in Idanre area of the state, Mr. Lanre Oluwarakise said that the party in the state had been factionalised into groups. Also speaking while leading ZLP members to the PDP, Eric Samakin said that they opted out of the party because its impact could only be felt in two out of the 18 council areas of the state. Samakin, who led 3000 members to the PDP added the party remained the only progressive party that can salvage the country from the impending doom.